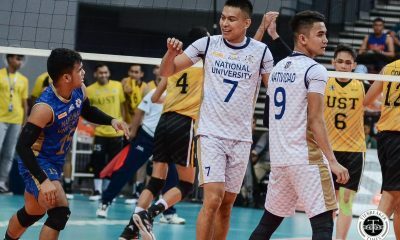 Last year’s runners-up National University Bulldogs shook off a rocky outing and dismantled the struggling University of the Philippines Fighting Maroons in straight sets, 25-17 25-19 25-17, Sunday at the Philsports Multipurpose Arena. The Bulldogs made known of their intentions at the very start of the match as Kim Malabunga denied three straight hits from the Maroons. 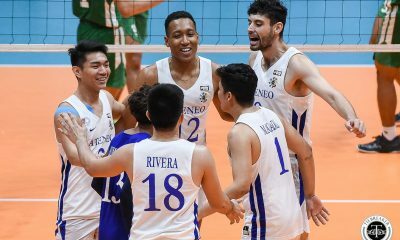 UP then kept the match close with two consecutive attacks from Wendel Miguel, before Francis Saura sent NU to the first technical timeout with a clean down-the-line finish. From there, NU piled up the points and frustrated the Maroons with well-placed service hits to push the lead at 21-13. Errors from the Bulldogs kept UP in the game; nonetheless, Ruben Baysac finished off the set the way Malabunga started it as he blocked two attempts from UP. Both teams battled to a tight second set as NU coughed up several miscues that gave UP some lease of life in the frame. 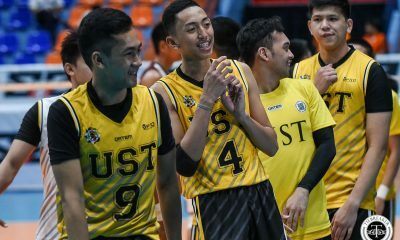 After scoring 6 points off Bulldogs’ errors, UP manufactured markers of their own when back-to-back points from Team Captain Alfred Valbuena and Miguel cut the deficit to one, 10-11. The Bulldogs then played more efficiently after that cruised to the next few rallies and their lead ballooned to 18-13. NU continued to pounced on UP’s first-ball problems and eventually closed the set with two straight spikes from Madz Gampong. 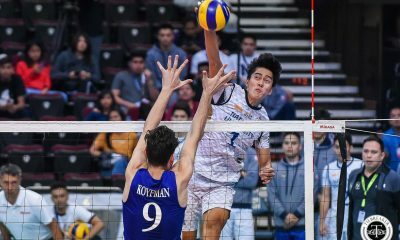 The Bulldogs then went on a killing spree in the third set as they registered a huge 10-point margin ending, 14-4, capped by a service ace by Gampong. Valbuena then single-handedly carried the Maroons with timely hits from the front and the backrow. However, another explosion defensively and offensively from Malabunga restored the double-digit advantage. 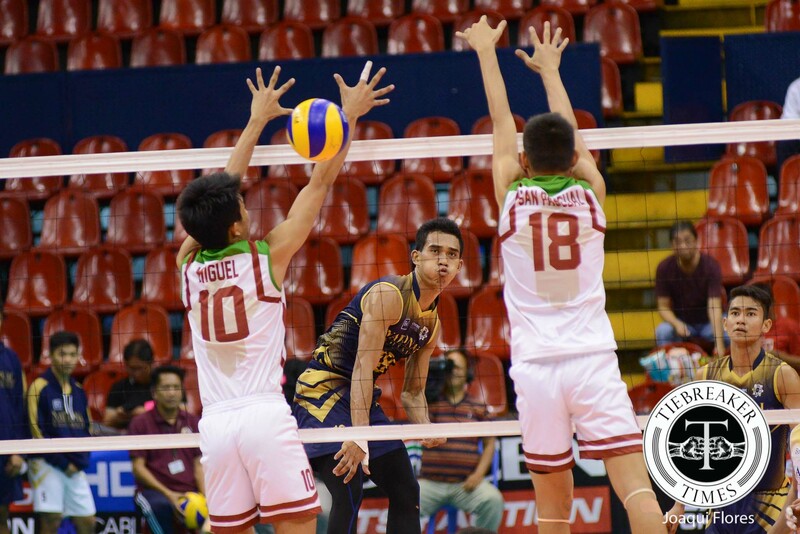 UP got their net defense going in the latter part of the frame, but it was too late as NU slowly reached match point. With one good ball from libero Ricky Marcos, veteran setter Vince Mangulabnan chose Saura to finish off the match with a strong hit. 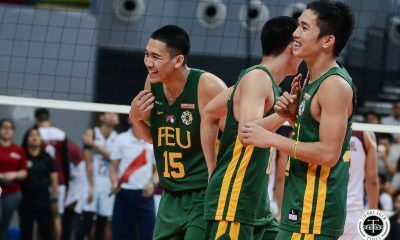 NU skipper Mangulabnan had an excellent outing with 32 excellent sets, while Malabunga led the net patrol, scoring 5 of the 13 blocks for the Bulldogs. Gampong and Natividad registered 11 attacks each to anchor NU’s offense. Valbuena was the lone bright spot for the Maroons with 16 markers, 15 coming from spikes. NU head coach Dante Alinsunurin was generally happy with the way his team played, especially with his team’s service and blocking.